Spanish Resources There are 14 products. This course is designed to develop an understanding of a biblical interpretation of Scripture. 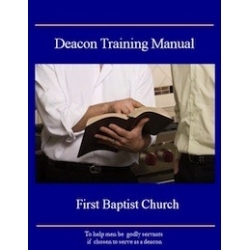 It will equip the student of God's Word with the knowledge and ability to study, interpret, and apply the Scriptures personally to his or her own life and ministry. 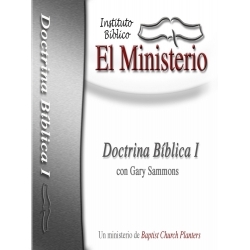 This course is a basic introduction to Theology Proper (the doctrine of God), Bibliology (the doctrine of the Bible), and Christology (the doctrine of Christ). The course is a basic introduction to Angelology (the doctrine of angels) and Pneumatology (the doctrine of the Holy Spirit). This course is a basic introduction to Anthropology (the doctrine of man) and Soteriology (the doctrine of salvation). 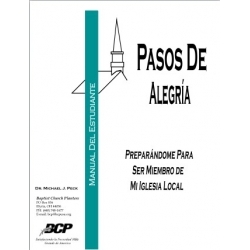 This Spanish course is a comprehensive study about the third person of the Trinity. 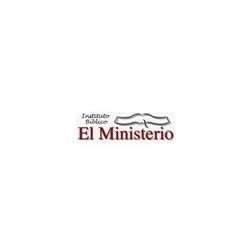 In the church of today, there exists much confusion about the functions and the gifts of the Holy Spirit, especially in the Hispanic culture. 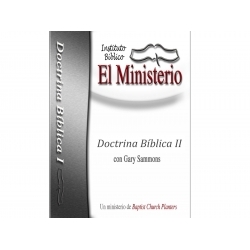 This workbook accompanies the Spanish Bible Doctrine I DVD course and is a basic introduction to Theology Proper (the doctrine of God), Bibliology (the doctrine of the Bible), and Christology (the doctrine of Christ). 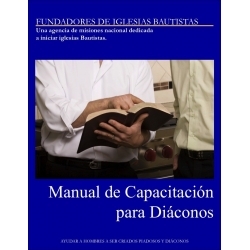 This workbook accompanies the Spanish DVD Bible Doctrine II course. This is a basic introduction to Angelology (the doctrine of angels) and Pneumatology (the doctrine of the Holy Spirit). 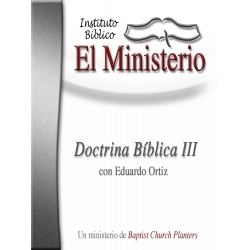 This workbook accompanies the Spanish Bible Doctrine III DVD course. This course is a basic introduction to Anthropology (the doctrine of man) and Soteriology (the doctrine of salvation).